When ordering from a menu, the quirkier the name, the more intrigued I am. And sometimes it is hilarious to know what they mean or how they got that name. Who knew Thai chillies’s Thai name, means “mouse s*** chillies”. 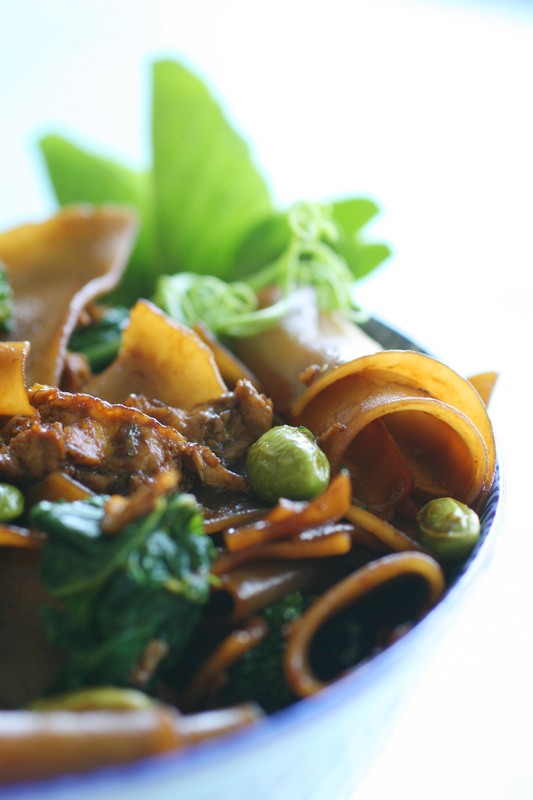 But when I saw Pad See Ew on the menu, my reaction was anything by ewww (although I say it that way playfully). Of course the description described the virtues just by listing the ingredients–and I was sold. However every restaurant I had this dish had a different look and feel and taste. So it was time to put my version out there to contribute to the chaos and confusion!! 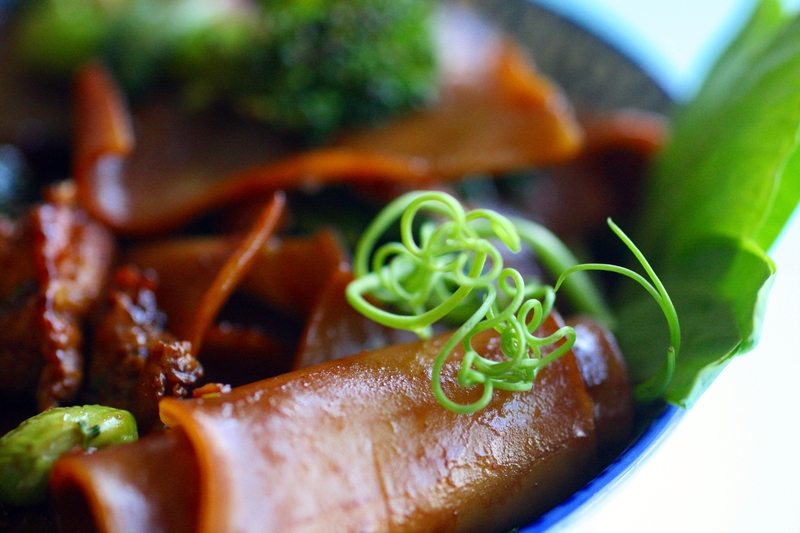 I made this recipe based on several sources (including Drunken noodles). Although it was good–1) It did not have the look I was after, as it was too dark with all that dark soy sauce 2) Sourness was too toned down. So I adjusted that in the below listed ingredients, which should yield a lighter looking dish (as in color, not calories!). If you like slight sweetness balanced by the tang, you will love this combo–heat or no heat is up to you. Frankly, once you make the sauce, you can adjust it to your preference by adding more of what you want. With all the adjustments, you may end up with more sauce, which I am sure will be used up when you want to make this again….very soon! 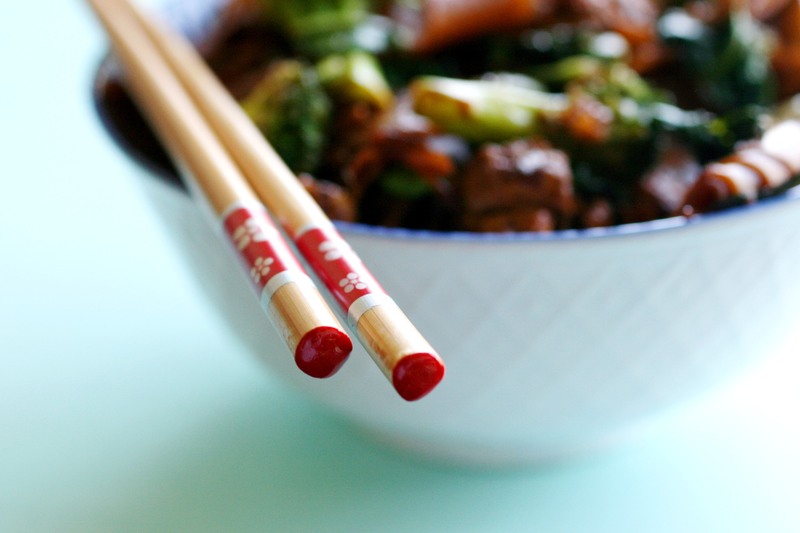 * If you don’t have Kai Lan, you can use Broccoli Rabe, as it closely matches Kai Lan’s slightly bitter flavor. Mix the soy sauces, fish sauce (or oyster sauce), sugar, vinegar and pepper flakes or chilli paste to make a sauce. Soak the rice flake noodles in cold water for 5 minutes and drain. Bring a pot of water to boil and add the rice flake noodles and cook for 3-4 minutes stirring occasionally. When almost cooked, turn off the heat and transfer them to cold water or drop a bunch of ice cubes into the same pot. This is to stop cooking and prevent them from sticking. Heat a wok on high heat with 2 tbsp oil. Once hot, add garlic and fry for few seconds. Add the eggs and scramble. Drain the noodles and add to the wok. Pour the sauce over the noodles and stir fry until the sauce coats the noodles. 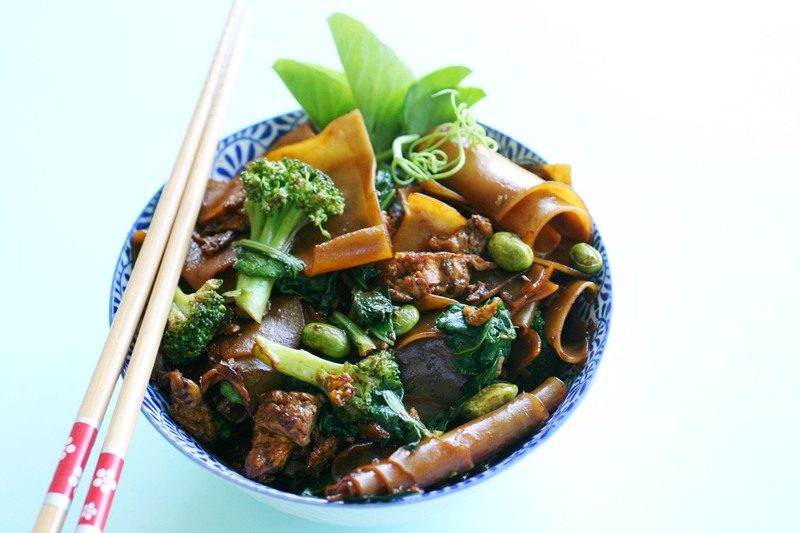 Add Kai Lan, Broccoli florets and Edamame, if using and stir fry on high heat. Once Kai Lan wilts, it is done. Broccoli will be done while retaining good crunch. This entry was posted in International, Recipes. Bookmark the permalink. One of my favourite Thai dishes, and as always, your photographs are utterly stunning. I love the close-up of the pea vine! Beautiful photos (as always!). And, oh, the recipe looks great. I adore Thai food and we’re a little short on good Thai restaurants here, so good to have. Thanks, Michelle! I hope you try it soon.